Knowledge is power: the power to boost your job performance. Your advancement opportunities. Your company’s bottom line. AWS keeps you working at the top of your game with the latest technical and professional resources. The Welding Journal. 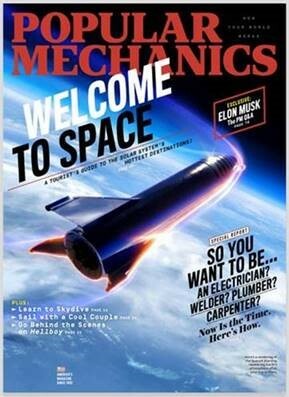 This monthly magazine delivers authoritative articles to drive business and professional development, plus important industry news, "how-to" stories, welding research, supplier information and more. The Welding Journal has earned more than 60 editorial and design awards, including multiple Charlie Awards from the Florida Magazine Association (FMA), and Tabbie Awards from the Trade Association Business Publications International (TABPI). 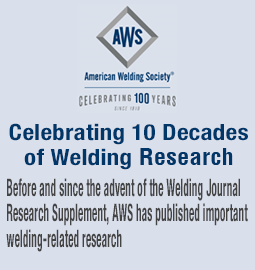 As a benefit of membership, all AWS members receive the Welding Journal. The Welding Journal en Español. This quarterly publication contains the best in features, departments and news from the Welding Journal editorial department, together with tailored articles written by and for Mexican and Latin American professionals. 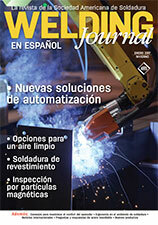 The Welding Journal en Español has a circulation of 10,000 printed copies and 40,000 digital copies. Inspection Trends. This magazine is geared specifically to materials inspection and testing professionals, mailed to individuals and facilities certified by AWS, including all Certified Welding Inspectors. Welding Marketplace. Welding Marketplace is a quarterly publication featuring the newest and hottest welding products and services in the welding industry. Circulation is 80,000 printed copies, and 52,000 digital copies. Some of the most active and influential buyers in the industry read the Welding Journal. As active members of the Society, they have a long-term commitment to welding and metalworking. To learn more about advertising opportunities with AWS, click here for more information.